She discusses the intermingling of hope and darkness that permeates The High Caul Cap, calling poetry a “celebration of life’s multiplicity and beauty despite inevitable disease and death, in particular here my own battle with mental illness and my mother’s constant physical decrepitude culminating in her slow and dancelike departure”. McGuckian discusses her own views of mortality, both personal and universal. She reveals her fascination with biographies stating, “… it is always good to follow a human being of some importance in and out of this life.” She also discloses her tendency to read books backwards or upside down—because it’s more interesting. In addition, McGuckian offers advice on writing, discusses her current book of choice and reveals which author she would meet if she ever had the chance. You can subscribe to The Irish Echo here. 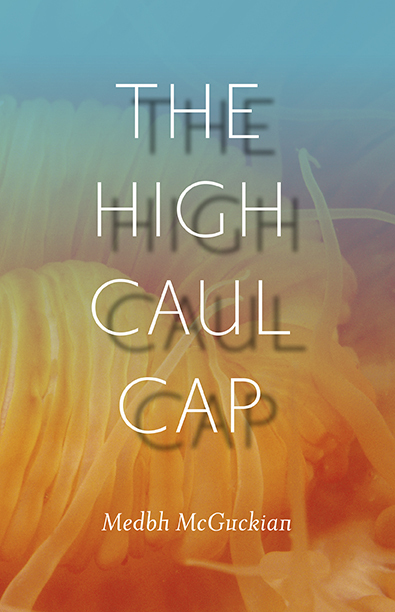 Visit our website for your copy of The High Caul Cap.